Ni Hao! 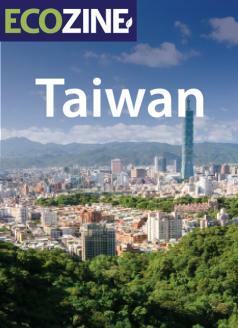 Welcome to the Eco Pages of Taiwan! Taiwan, the leaf-shaped island nation with a colourful history of independence and adaptation and a proud native people with a culture and tradition all their own. Although it is home to several bustling metropolis centres, this very special country also boasts a beautiful and varied landscape complete with surfing beaches, rugged mountains, lush forests and everything in between. Visitors to the country will be impressed with how easy it is to make green choices in the midst of such a charming place. Taiwan is famous for its food, so be sure to check out one or more of the traditional and modern vegetarian Taiwanese listed in our Restaurants category. Looking to relax and unwind? Practice yoga and meditation at one of Taiwan's many studios such as the ones listed in the Yoga category. Looking for an eco-friendly product supplier? Taiwan is an industry leader in development of green technologies, as shown by the abundance of businesses listed in the Air Purification, Computers, Energy Saving Products, Lighting and Recycling Equipment categories. Furnishing and equipping your home in an earth-friendly way is a breeze! A hidden gem in the Asia Pacific, Taiwan will surprise and delight you with its abundance of businesses, services and products in the eco space.